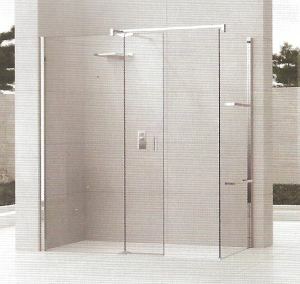 All Novellini wet room shower screens are the product of a meticulous design and manufacturing process. From raw materials through to assembly, each and every stage is carefully handled exclusively by Novellini to produce a product of the finest quality. The Kuadra range of wet room shower screens boasts 8mm thick toughened glass that is tested to the very latest EU quality and safety standards. Creating a bespoke wet room shower is easy with the Kuadra range. Install Kuadra as a single or multi-screen and select from clear or smoked glass. Maybe you'd like to choose from the Kuadra F2 range with dual towel bars incorporated in the glass panel. Only your imagination can limit your decision. Novellini think outside the box to achieve creative designs. Combinations of individual items can produce some interesting results. Not all shower areas need conform to a pattern and not all individuals wish to be conformist. Take a look at the area you wish to transform and imagine what you could do to make it spectacular. The image on the left gives an example of what can be done by adding the Kuadra H2 screen (with hinged panel) to a Kuadra F2 (with towel bars) as an end panel. This simple combination produces a beautiful semi-frameless creation to adorn any bathroom. What's more, the design you'll be proud to show your friends is totally practical. 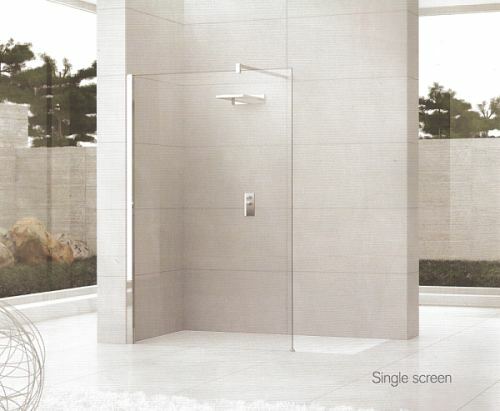 The Kuadra shower screens are pictured alongside the relevant price table. The picture is labelled with numbers that relate to key features of that particular model of screen. Select the screen configuration you most like the look of then refer to the key just below and each table for the size that best suits your desire. If you require help please don't hesitate to contact us. All screens feature clear glass and a chrome frame, apart from the Kuadra H Smoked that has grey smoked glass. Novellini shower pods require specialist handling by a suitably experienced carrier. Please add £35. 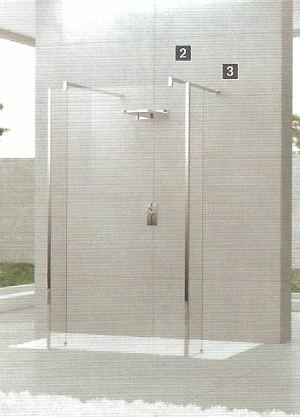 The Kuadra H2 screen has an ingenious hinged end screen adjacent to the open end which can be pivoted inward after entering the shower reducing the opening to contain overspray just a little more, or folded back thereby reducing the shower footprint when not in use. 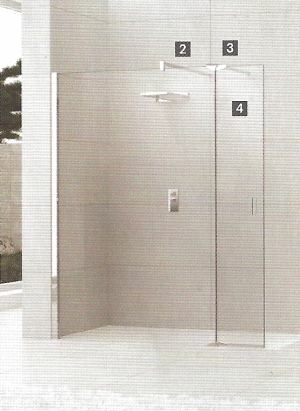 Glass panel designed for use mid-wall to provide entry from either end. The main screen panel is supported by bracing bars (options available) and optional 'end screens' are offered if desired to provide a return on the glass at either end. 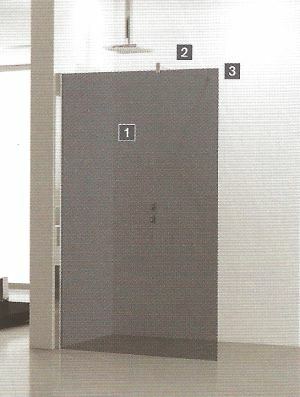 Return panels are attached by full length chrome trim and supported with a small foot (supplied with return panel). An optional taller foot to accommodate greater floor slope is available as optional extra.